Use this affordable technology to connect to your landscape and get the insight you need to manage it better. Celium can work with a myriad of assets and devices. 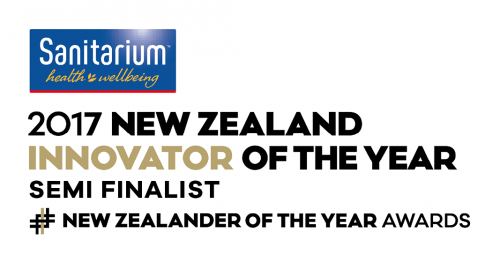 Encounter Solutions is proud to have been chosen as a finalist of the 2016 NZ Hi-Tech awards for its innovative Celium agritech product. Watch the short video to learn about Celium and how it is going to dramatically reduce the cost of monitoring bait stations and traps in remote locations. Radio signals suffer less loss and wrap around hills and obstacles better at lower frequencies. Celium is optimised to operate at 160 MHz in New Zealand and in the Multi-Use Radio Service channels (151 – 154 MHz) in the US. Alternative low power coded wideband or spread spectrum based networks generally operate in higher spectrum ranges such as the unlicensed ISM band of 868 MHz or the 2.4 GHz band. Additionally, Celium uses market leading, narrowband technology to deliver highly efficient, low data rate communications. This provides several advantages over coded wideband based systems. This combination of narrowband technology and a lower operating frequency means Celium can deliver superior range over systems operating at higher frequencies for the equivalent power consumption. Especially in undulating topography, through dense vegetation and in wet weather conditions. Celium is playing a critical role in recreating a bird paradise in the Hawke’s Bay region, New Zealand.